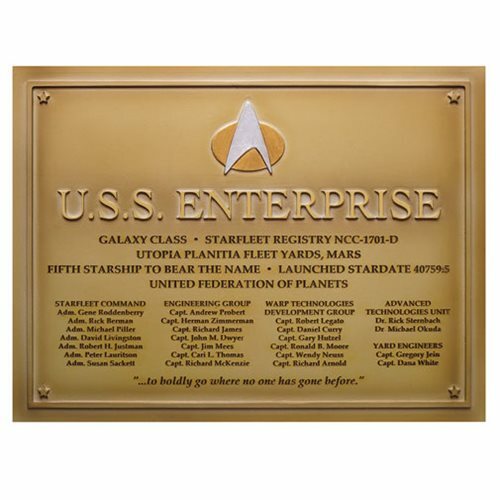 This scaled replica of the plaque of the U.S.S. Enterprise NCC-1701-D that was piloted during the last three seasons of Star Trek: The Next Generation. Ages 14 and up.